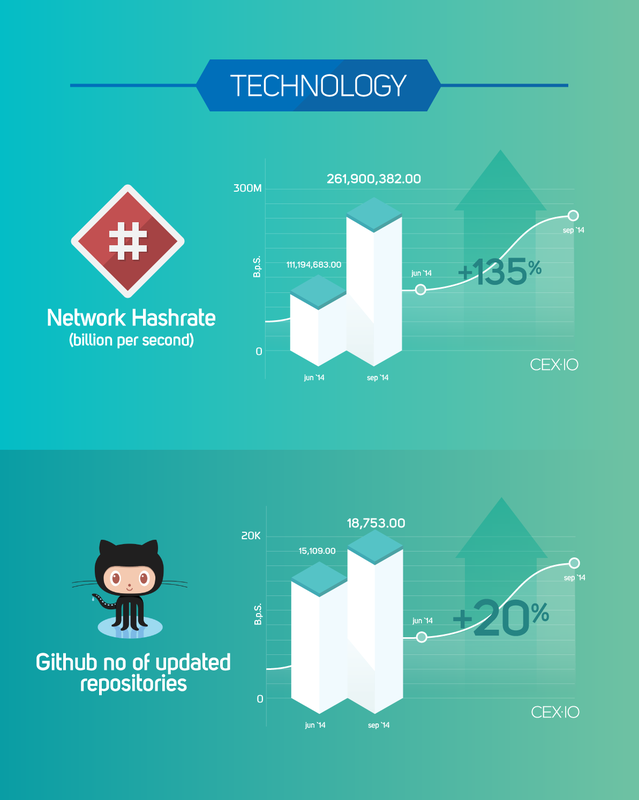 Basic Bitcoin Metrics [Infographic] or Why Bitcoin Rocks This Fall? 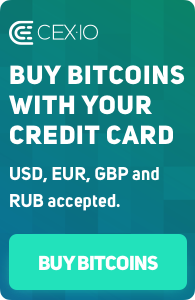 The Bitcoin ecosystem has seen a significant advancement over the last three months. 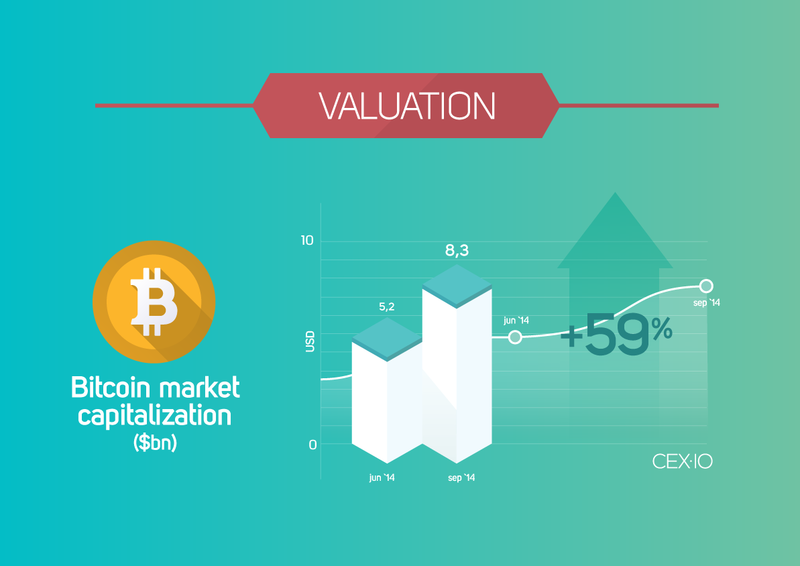 For example, with the increase in the number of wallets (21%) and sums of investments (41%), the overall Bitcoin market capitalization has grown by 59% and reached $8.3 billion. 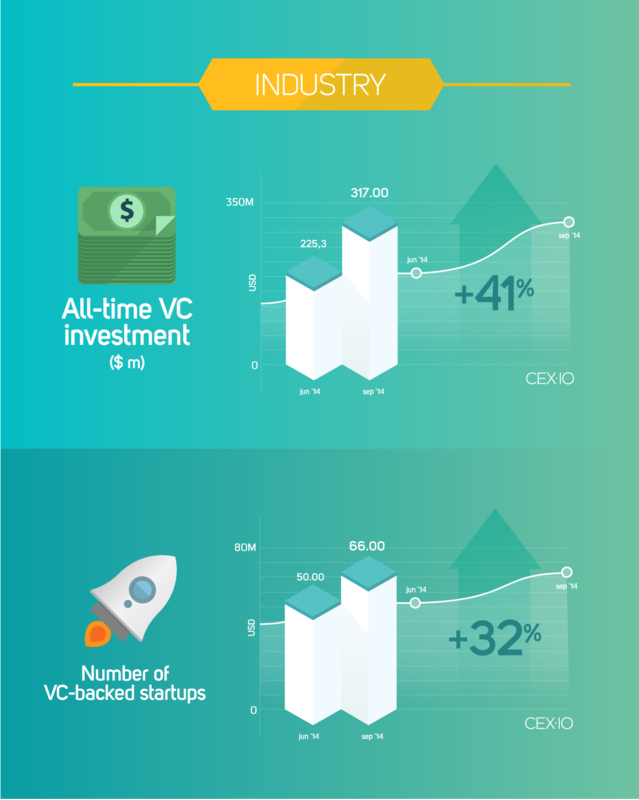 CEX.IO has prepared some key infographics to illustrate this. All statistical information is based on CoinDesk’s report State of Bitcoin Q3, 2014.